A serious hotel boom in Thailand has seen a rise in one-of-a-kind boutiques, all of which offer effortless luxury, glamorous décor, and a high level of personal service. Here’s the best 10 sleeps for making you feel special from the minute you check in. The scene: Na Nirand is the perfect location for a place to call home after a rewarding day in the city’s old town wondering at temples and eating street food –walking distance from the sites and right on the Mae Ping River with peaceful landscaped gardens set around a 100 year old rain tree. You can start your day with a swim in the outdoor pool, eat breakfast while watching life on the river and end your day in the extremely highly praised riverfront restaurant (which also has a wine bar on top)! Na Narind’s style is known as colonial Lanna – developed at a time when western influences from the height of the Teak trade blended with traditional craftwork of the northern Thai kingdom, known as Lanna. With white columns and intricate teak carvings, this revival of colonial elegance lends itself perfectly to a romantic boutique hotel. The sleep: Just 45 rooms and all have a private balcony; there are 6 low rise buildings and the most special suites (ideal for honeymoons) are the four themed suites in the Riverfront Colonial Building. The art and craft work in all rooms has been carefully selected to represent the history and traditions of this forestry themed quarter of Chiang Mai so you can enjoy hand woven colourful cloth, rattan weaves and romantic paintings. The Royal Deluxe rooms are bigger than the standard Romantic Lanna rooms with fabulous spacious bathrooms with tubs. The scene: An intimate set-up with contemporary-cool Thai interior styling, this dreamy little hotel is set on the white sands of Tubkaak Beach. 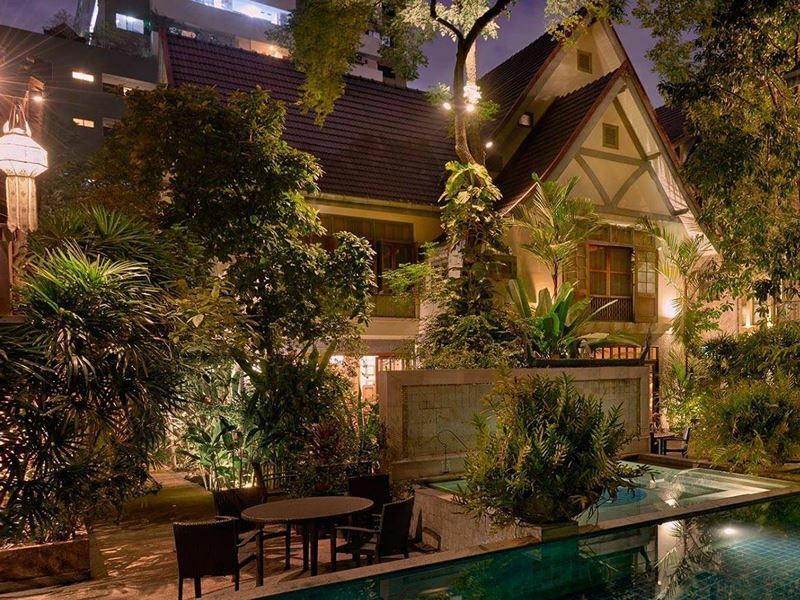 Everything here is geared up for relaxation; from the attractive L'escape Spa with its Oriental and traditional Thai therapies and treatments, to the excellent library filled with free-to-borrow books. There’s two restaurants for Thai cuisine and Italian specialties, a gym with state-of-the-art cardio equipment, and an artisan gift shop selling everything from delicately-woven silk scarves to intricately-carved wooden ornaments. The sleep: While none of the 59 rooms, suites and villas is alike, all come with an outdoor sunken bath you’ll definitely spend a good few hours soaking in. Thoughtful touches include hammocks, free-to-use beach bags, sandals and towels, flatscreen TVs with satellite channels and DVD players, complimentary Wi-Fi, Bose sound systems, and Nespresso machines. 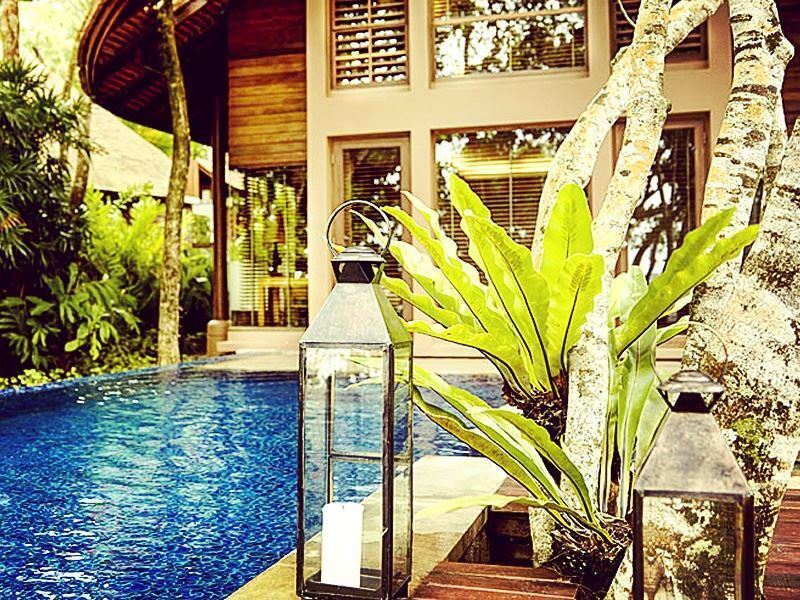 The standalone beach pool villas are more expensive, but worth it for the coconut and teak wood detailing, indoor and outdoor shower, private pool with Jacuzzi, and easy beach access. The scene: Sitting pretty at the finest end of Bo Phut Beach, these four-star dwellings (named after a meditative discipline in Zen Buddhism) are low-key, luxurious, and immediately relaxing - especially for those seeking inner calm. Choose from rigorous or restorative one-to-one yoga classes, group cookery classes and divine spa treats - or simply channel your energy into diving, cycling, watersports, and swimming. Most exceptional is the high-profile restaurant that pulls focus on Thai food, gourmet French-influenced cuisine, and award-winning wines. 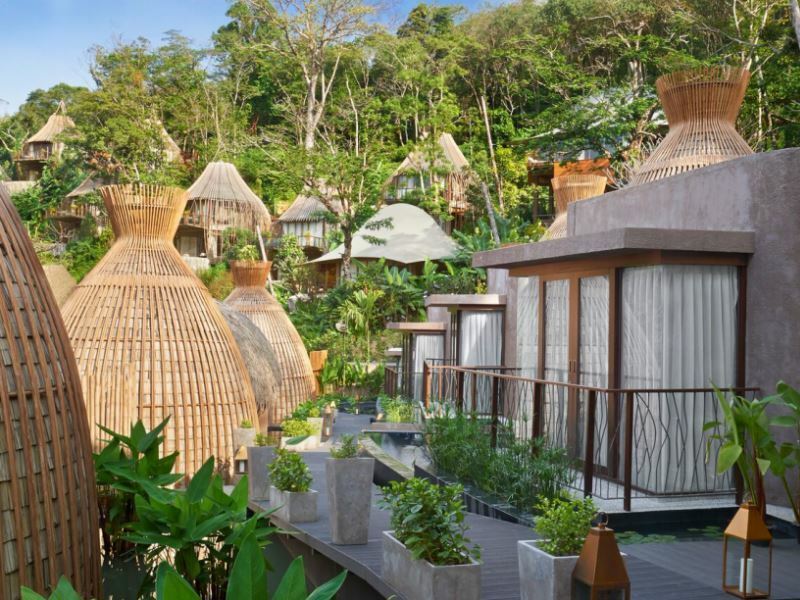 The sleep: Complete with a Thai décor scheme with Mexican design touches, each of the 26 bungalows encapsulate the resort’s peaceful and very high-end vibe. Expect customised Asian artworks, oversized beds raised on platforms, open-air bathrooms with large mirrors and rain showers, and modern must-haves such as flatscreen TVs, iPod docking stations and DVD players. Extras that make your stay just that little bit more special include silk dressing gowns and slippers, flip flops, free mozzie repellent, and towels cleverly-folded into all sorts of shapes. The scene: The kind of place where you wish you’d end up staying a lot longer than planned, this chic little gem is perfectly-positioned on a white-sand beach in Koh Phangan. 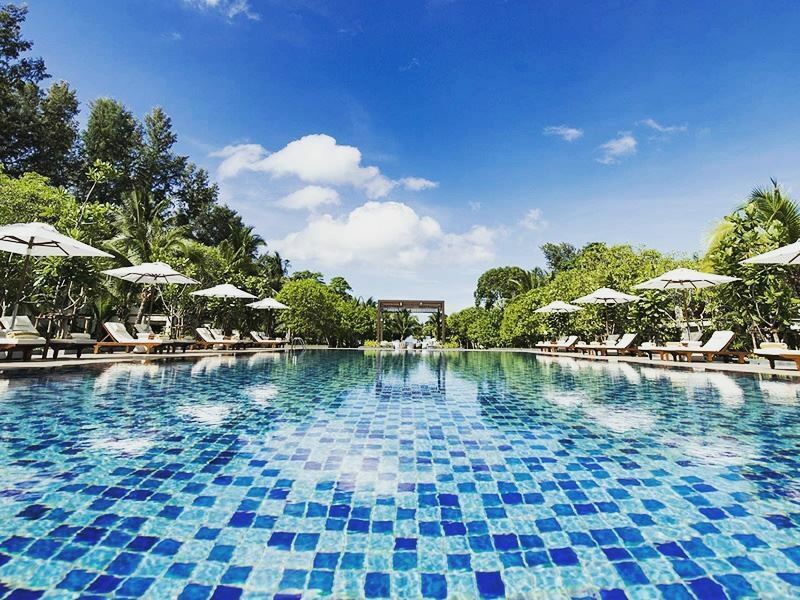 There’s a gorgeous outdoor pool for all-day lazing, on-site cookery classes for those keen to learn Thai culinary tricks and techniques, and the excellent Beach Club Restaurant that’s one of the most established dining spots on the island. 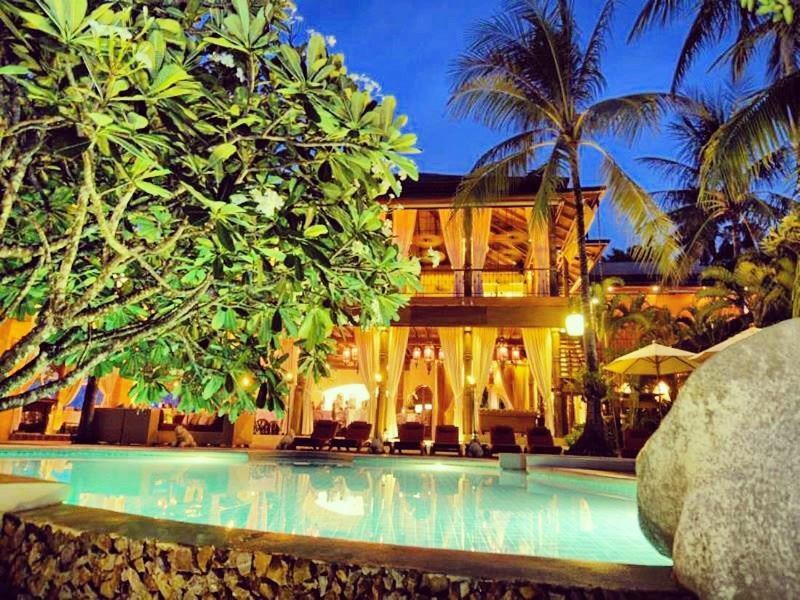 Equally worthy of your attention is the lovely Nam Thai Herbal Spa that offers blissful beachside massages and rejuvenating treatments. The sleep: All of the uniquely-styled rooms are a good size, with many overlooking the pool or sea. 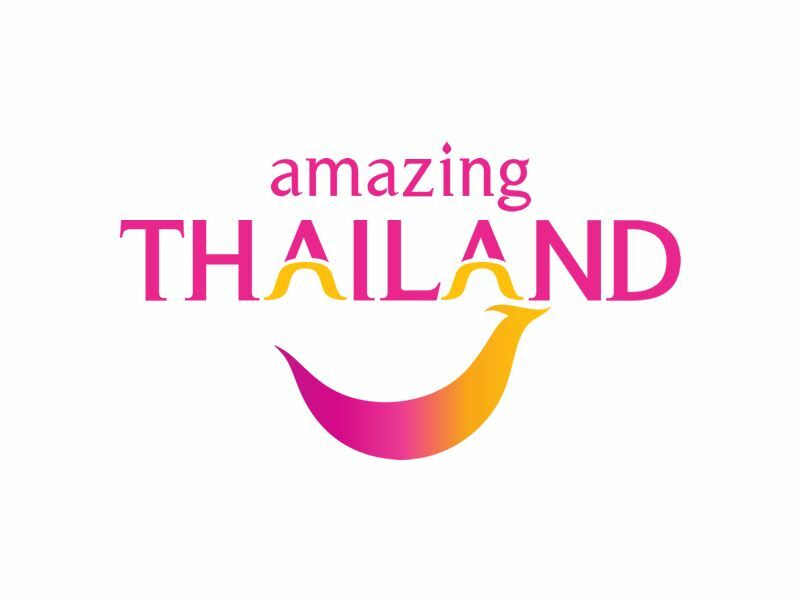 Expect thoroughly modish Thai décor throughout; think carefully-selected wooden furnishings, king-size beds, private balconies or terraces, and spacious en-suite bathrooms with rain showers, bathrobes and toiletries. There’s also flatscreen TVs with cable channels and DVD players, free Wi-Fi, and tea and coffee-making facilities. Some room types come with upgraded extras such as pillow menus, complimentary high teas, and daily ice cream. The scene: A loving renovation by the same family that first built this heritage villa in the 40's has preserved the vintage look and feel and provided today’s travellers with a real oasis from frenetic modern city life. 2008 saw the rebirth of this much treasured family home, with the addition of a new wing, landscaped gardens and a cooling pool, the result is stylish and authentic with a hint of Zen about it too. The importance of feeling wonderful and being healthy is integral to Buddhist influenced Thai culture and the award winning restaurant serves up organic Vegetarian food looking out at the lush garden. 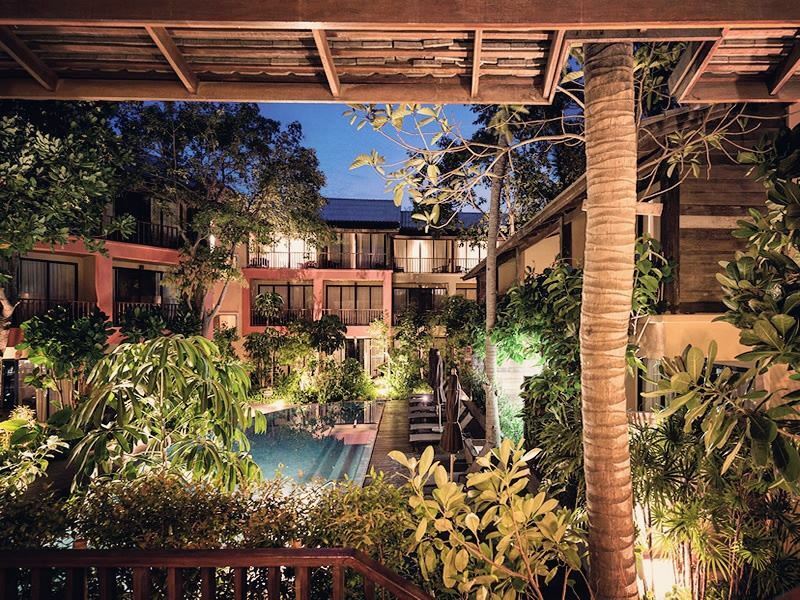 For a small property, there is a surprisingly extensive spa menu; treat your body to some time in the steam room followed by a wonderfully affordable Traditional Thai massage in the semi-open poolside pavilion - the perfect antidote to a long haul flight. The sleep: The wonderful thing about this type of guesthouse is that each room is unique, individually designed with wonderful attention to detail. 24 rooms and suites all offer those things we have come to expect as standard in luxury travel –fine linens, complimentary Wi-Fi, bathrobes, bespoke toiletries and Satellite TV. More interestingly rooms, (spread over the two wings) are adorned with carefully curated antiques; the newer wing is quieter as the heritage wing contains the restaurant and public areas. (Room tip - The Executive Deluxe room on the ground floor has the added addition of a Jacuzzi bathtub). The scene: Not all Boutique Hotels need to be refurbished guest houses or renovated historical tributes, many are the showcase for a new urban sophistication and Akyra Manor is bang up to date. Offering the levels of personal service that you expect from a property with just 30 rooms, the most notable feature is the scene on the rooftop –here a pool with an entire glass wall sits happily alongside a bar known appropriately as RISE. This is a spot to hang out with a cocktail at sunset and take in the views of the distant hills of the National Park. When you want to try out Chiang Mai life outside the hotel, there are some of the city’s best art galleries, most contemporary restaurants and even live music on your doorstep. The sleep: All rooms are suites and have a lovely quirky addition to the usual luxuries (WiFi, high thread count linens, sumptuous mattresses, satellite TV and iPod docks). The suites wrap themselves around standalone Jacuzzi bath-tubs separated from the room by glass walls with the fourth wall partially open to the outside. This sort of bath-on-a-balcony / courtyard in your bedroom / bringing the outside in unique design sets the rooms here apart from the crowd. Larger Manor rooms also have a walk in wardrobe and extra space, ideal for a special occasion or a family. The scene: It’s easy to see why first-timers and repeat visitors to the island Koh Lanta Yai all beeline for this outstanding five-star complex that’s exclusively for adults. There’s a salt-water infinity pool, DVD and book library, and excellent dining options - most tempting of which is Tides Restaurant for fresh-as-you-like classic Thai fare and seafood specialties. Also standout is the relatively new Linger Longer Spa that’s kitted out with a cave-like salt room as well as Jacuzzi, hydro massage pool, juice bar, and six air-conditioned treatment rooms. 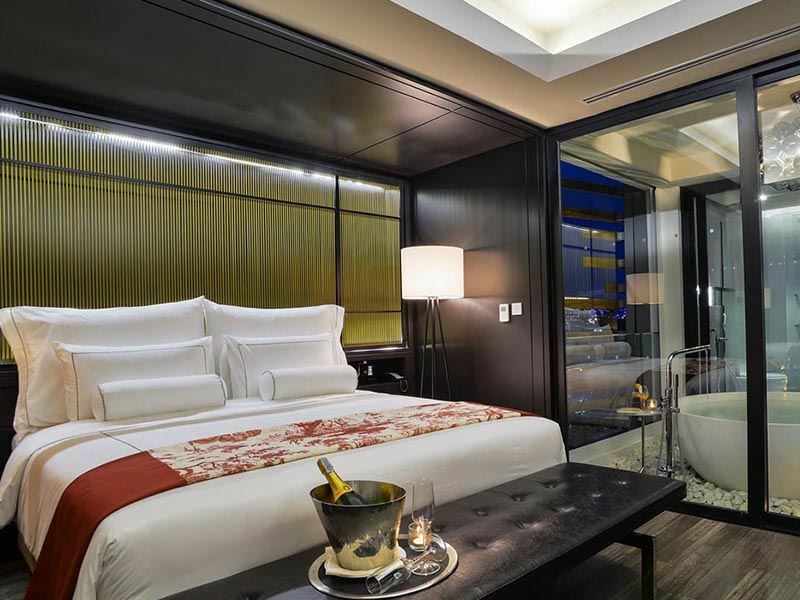 The sleep: Each of the 51 ultra-luxurious rooms and suites dotted throughout the resort assures Thai design flourishes. Expect hardwoods and silks, large balconies, rather huge beds (king-size or twins) dressed with goose-down duvets, and daybeds that double up as a third bed if needed. Bathrooms have bathtubs and separate glass-enclosed showers, with some offering Jacuzzi tubs and open-air garden showers. There’s also generously loaded minibars, tea and coffee-making facilities, and flatscreen TVs with satellite and international channels. 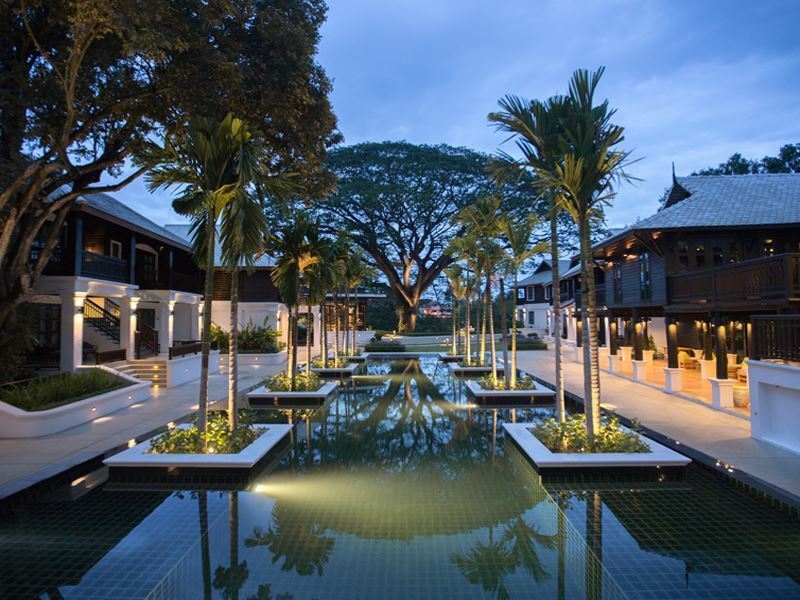 The scene: Located at the heart of Chiang Mai’s old town, it won’t come as a surprise that Tamarind Village adopts classic Thai influences to create a truly authentic experience, from the daily cultural activities, to the striking artefacts dotted around the rooms. 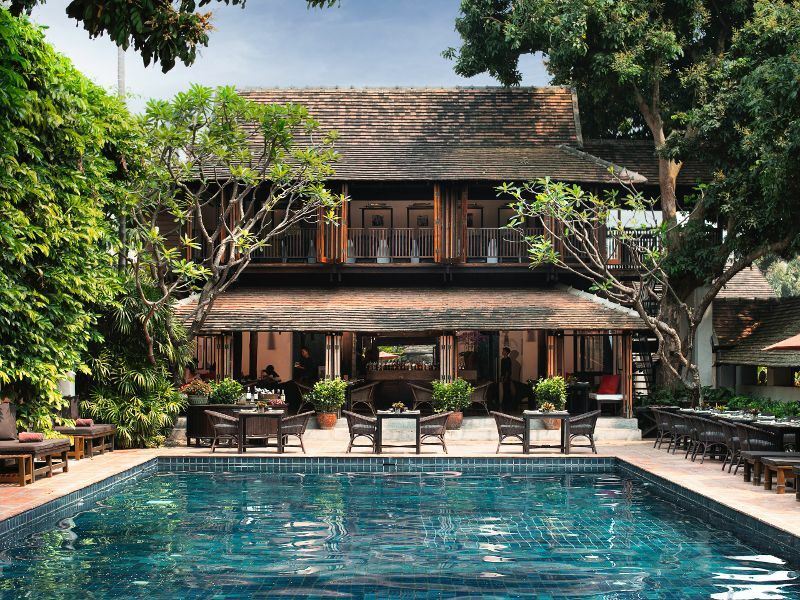 This boutique hotel is perfect for those hoping to escape from the modern world, instead spending their time peacefully relaxing by the pool, and tucking into traditional northern Thai feasts at the Ruen Tamarind Restaurant. The stay: All dotted around the picturesque courtyard, the rooms here a minimalist, yet with a hint of traditional Thai charm. Rich furnishings and patterns add a touch of luxe to every room, but the most indulgent comes in the form of the Spa Suite, accessed by a private staircase and featuring a scenic terrace with a sun bed. The scene: With the stunning view of limestone karsts rising out of the azure lagoon from almost every corner of the resort, Six Senses Yao Noi already stands out from the crowd. That’s before you’ve even discovered everything else this remote oasis has to offer. Nestled on the secluded island of Yao Noi (one half of Ko Yao), days can be as active or as relaxing as you please. Indulge in a night-time massage on the spa’s luxury longboat, before peeling yourself away from the comfort of the resort to climb the limestone, ride one of the complimentary bikes, or create your own island-hopping itinerary. 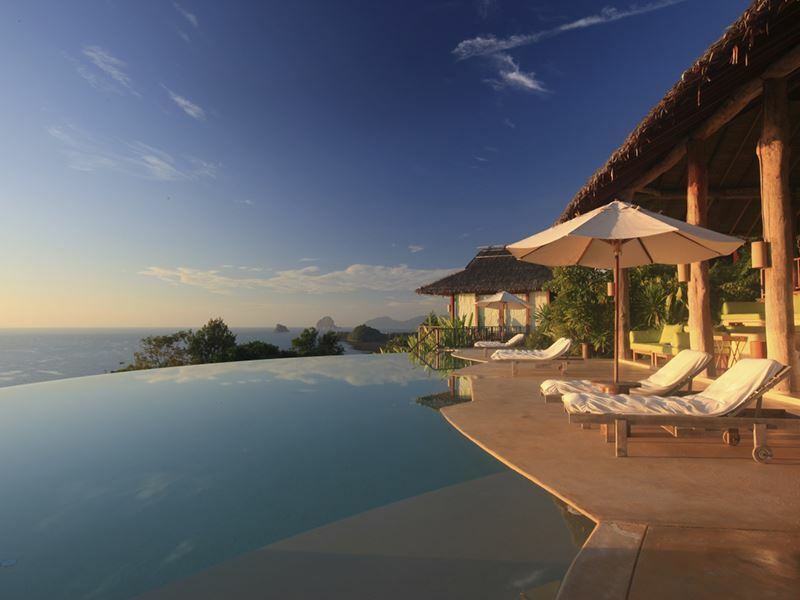 The stay: Boasting a Personal Butler and stunning views, all of the villas here are beautiful and indulgent. Wraparound terraces overlooking the ocean, private spa salas, personal stairways onto the sugary sand beach…all of the villas offer a unique temptation you just won’t be able to resist. 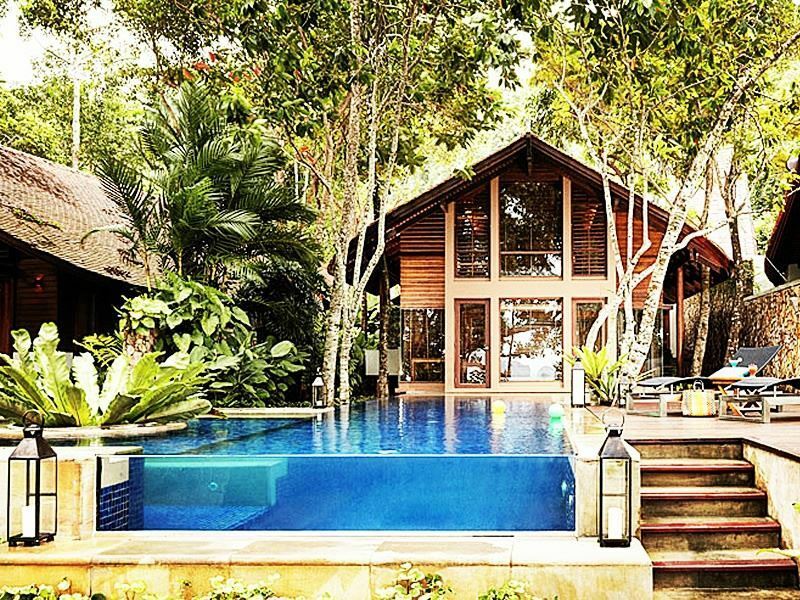 The scene: Nestled within the luscious rainforest of Kamala, this boutique resort is utterly enchanting. Inspired by the culture of four fictitious Phuket tribes: Pa-Ta-Pea (Earth), Khon-Jorn (Wanderers), We-Ha (Sky), and Rung-Nok (Nest), the unique architecture and focus on wellbeing at Keemala makes this one of the most unique properties in Thailand. Days here can be spent trekking in the jungle, indulging in a holistic spa treatment, or strolling along the beach, dining on wholesome cuisine and giving your mind and body the relaxation and kindness it deserves. The sleep: The four accommodation options are inspired by the four fictitious Phuket tribes, all with unique personalities. The Clay Pool Cottages are connected to the Pa-Ta-Pea Clan, built with clay and offering stunning views from the hidden pool and terrace, whilst the Tent Pool Villas are inspired by the Khorn-Jorn Clan wanderers who constructed semi-permanent homes, with tent-like roofs and natural décor. The Tree Pool Houses are inspired by the We-ha Clan who built their homes up high to spark creativity – these one-of-a-kind villas look as if they’re suspended from the trees, with two floors and cocoon-style beds. Lastly, the Bird’s Nest Pool Villas are based on the Rung-Nok Clan, a secluded group of artists and philosophers who lived an indulgent life, with bird’s nest inspired exteriors.